The roots of what we now call genre fiction reach back to the beginnings of civilization where humankind sought to explain the dramatic events of nature through myths and stories. Darkness, the supernatural, tales of the unknown, with creatures emerging from the woods, the sea, the skies, these themes still play on our collective fears, even as technology is close to taking us beyond our solar system we still explore the mysteries of the world on our mobiles, movies, streamed TV and, of course, our books. And at Flame Tree, we love this stuff! 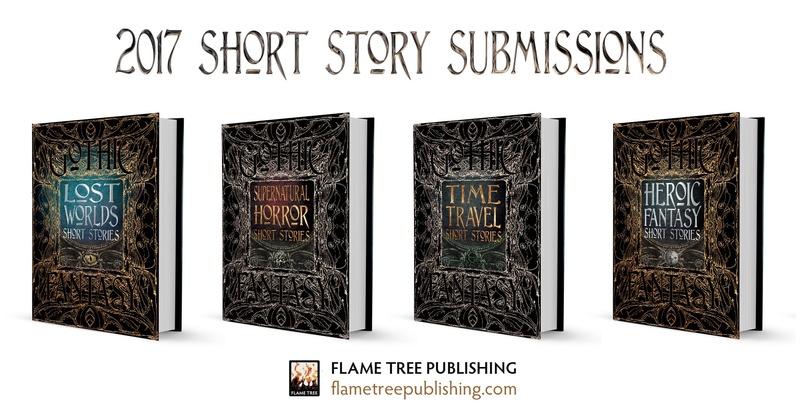 UPDATE: SUBMISSIONS are now CLOSED for Lost Worlds, Supernatural Horror, Time Travel & Heroic Fantasy. Thanks to everyone who submitted. UPDATE: SUBMISSIONS are now CLOSED for Swords & Steam and Dystopia Utopia. Thanks to everyone who submitted. Our otherwise delightful printer seems to have suffered a series of setbacks, culminating in the entire workforce going on holiday at the same time. Or so it seems. 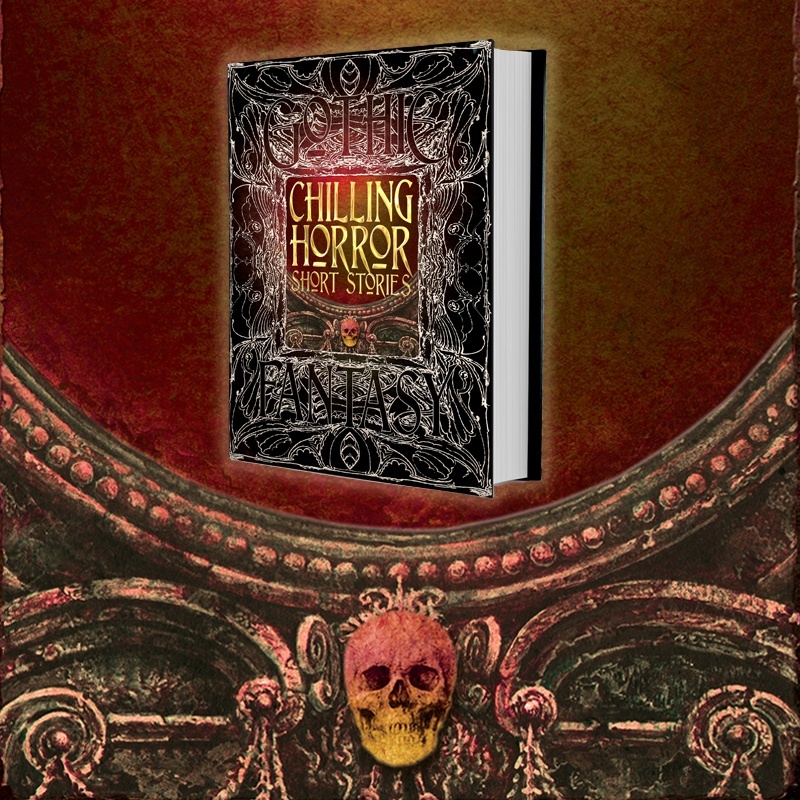 They've had the PDFs to make the books for 6 weeks and should have delivered two weeks ago, but various calamities seem to have befallen them and they are currently set to despatch from their factory outside Venice at the end of August. 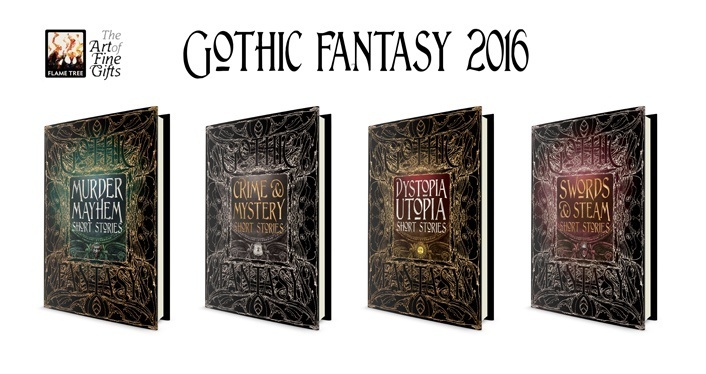 Our forthcoming Gothic Fantasy anthologies feature an explosive mix of new and classic writers. 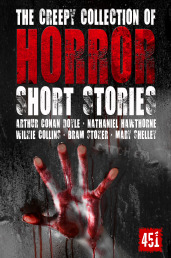 We've released the list of new authors, and their stories, now here are the biographies of Chilling Horror Short Stories. Some are first time writers, others have had stories printed in magazines and story collections before. 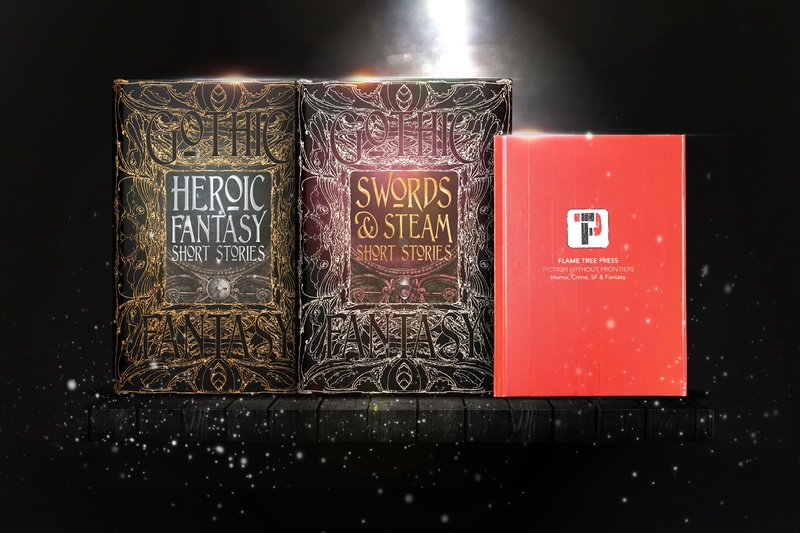 Our three collectable Gothic Fantasy anthologies, deluxe hardcover editions on Horror, Ghosts and Science fiction, each carry a potent mix of classic tales and new fiction, tracing the path of the thrilling tale from the early gothic to the modern fantastic. 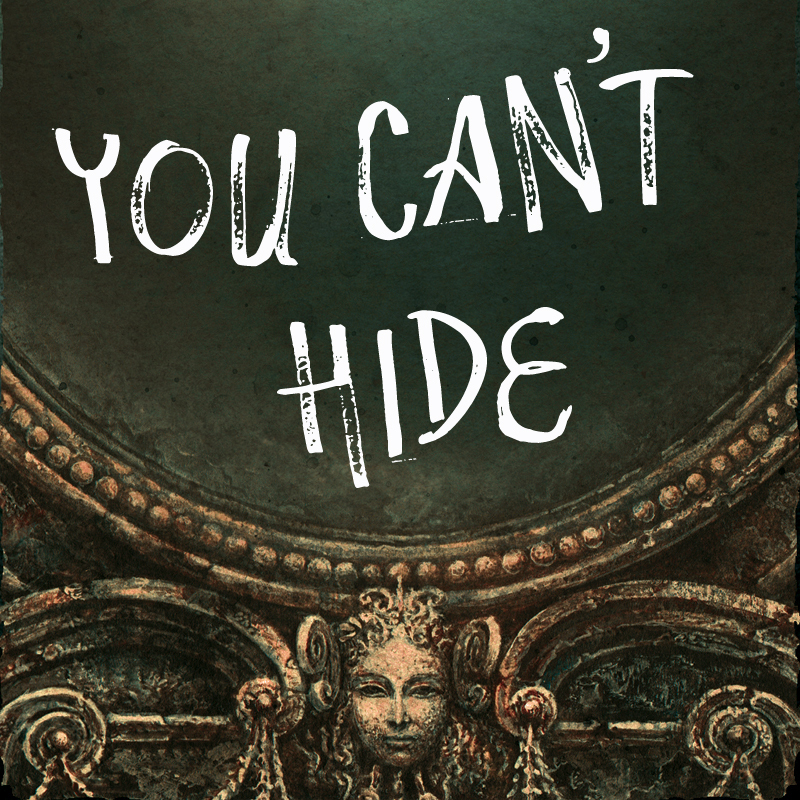 The range and high quality of entries forced us into a slight deviation from our original path, allowing us to include more of the new stories, at the expense of a few of classic writers. However, as you'll see below, we've selected a wide range of pioneer literary giants, from Henry James to E.M. Forster, Arthur Conan Doyle to Mark Twain, and, focussing on great reads, included some other fascinating contributions from the Golden Age of Pulps. 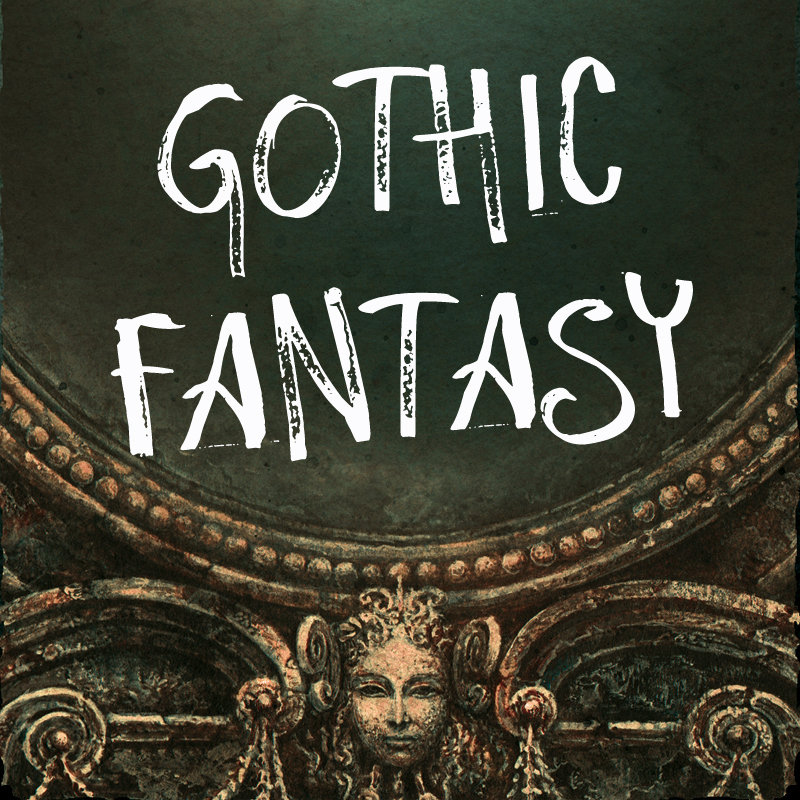 Gothic Fantasy Call for Submission: Gone to Press! Well, that was difficult. 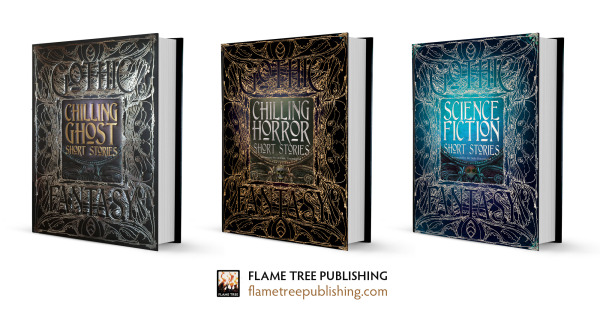 721 submissions for our three anthologies on Ghosts, Horror and Science Fiction. Authors from around the globe, some published in magazines such as Beneath Ceaseless Skies, Plasma Frequency Magazine, Outposts of Beyond, Weird Tales, podcasts (Pseudopod, Escape Pod, Toasted Cake, Flight of the Fifty Fancies), award winners, and recent anthology collections, others never published before. I suppose we expected 150 stories, and a struggle to find the 60 we needed, but it was a complete shock to discover so many great reads, and distressing to have to make choices. UPDATE: 2015 SUBMISSIONS ARE NOW CLOSED. THANKS TO EVERYONE WHO SUBMITTED. 2016 SUBMISSIONS ARE NOW OPEN. 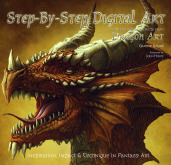 Illustrated eBooks: Dragon Art. iPad Ready. 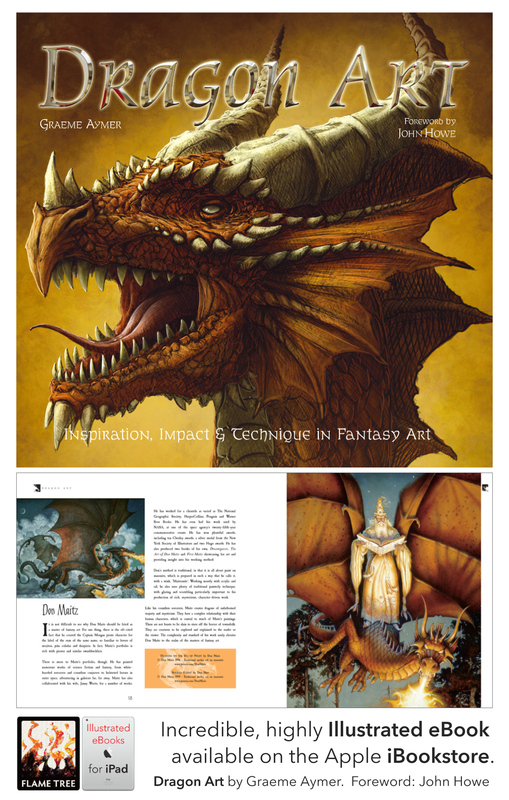 It's been a long time coming, but at last we've made a fabulous illustrated ebook of the hugely successful print title, Dragon Art: Inspiration, Impact & Technique in Fantasy Art. Yes, it's very big, both in terms of dimension and the number of pages (192 pages plus covers), but we've worked hard to create a terrific iPad ready, digital book. It's available on the Apple iBookstore and is designed for the iPad display which shows off the detailed and glorious art. We're absolutely delighted with it. It'll be on Kobo soon too, and you can download it to the Mac OSX Mavericks because at last you can use iBookson the desktop. We flirted with the Amazon on this project but the designed pages look so terrible you wouldn't want to open it again! !